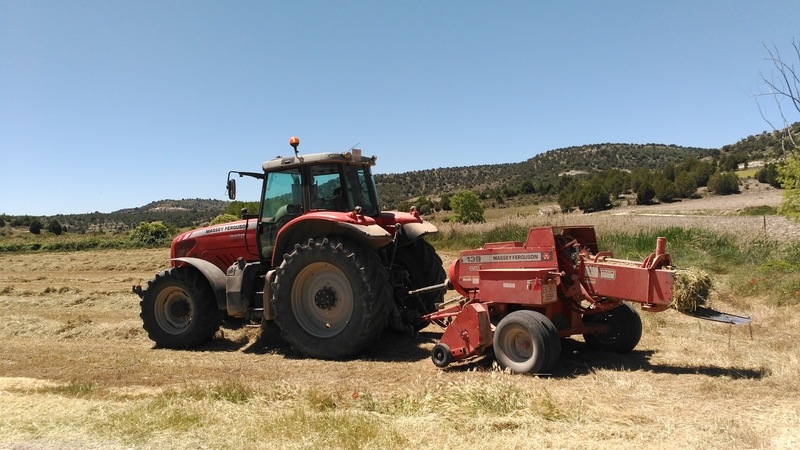 In our area farmes have begun to harvest cereal and pulse... this year is being really bad. March was very cold and April was really dry (it didn't rain anything from 23rd Marz to first days of May). 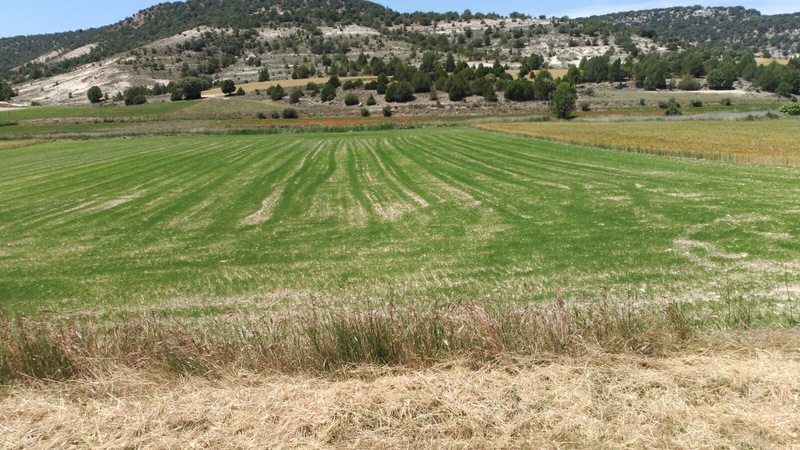 This situation has caused one of the worst years of the last decade for rain-fed crops. 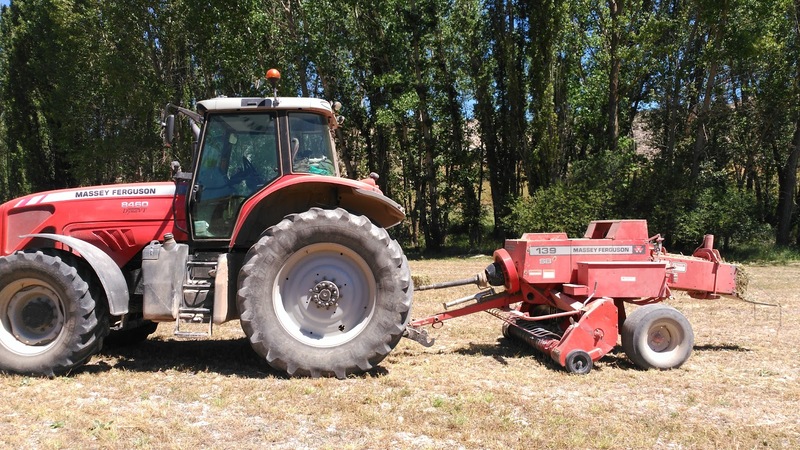 The average yields are about 2,000 kg/he of barley and 800kg/ha of pulse. 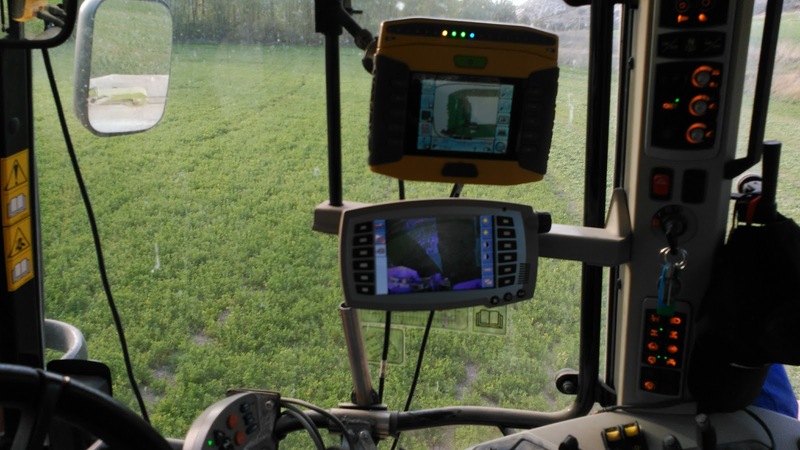 Some wheat fields will not even be harvested. 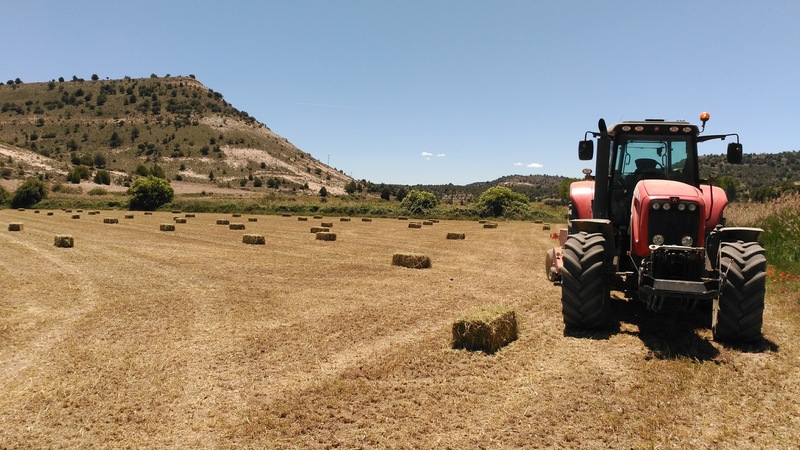 Our friend José Enrique (from Valdanzuelo in Soria) told us that his yields will be really poor this year. They have a farm of 530he with 1,000 sheep as well. 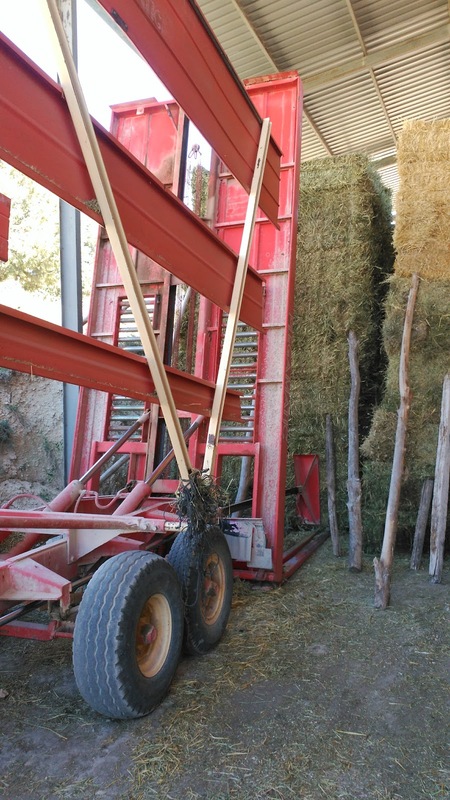 Some crop like vetch or alfalfa are usually harvested for forage. 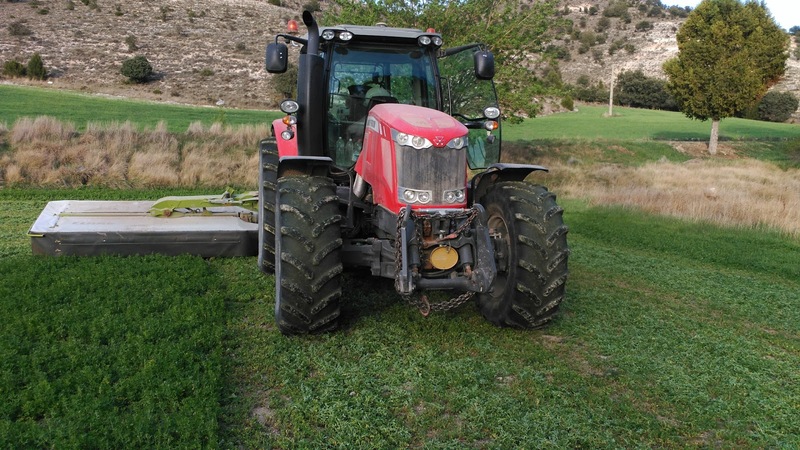 The performance of forage vetch is about 3.500 kg/ha and this year it will be about 1,000kg/he. 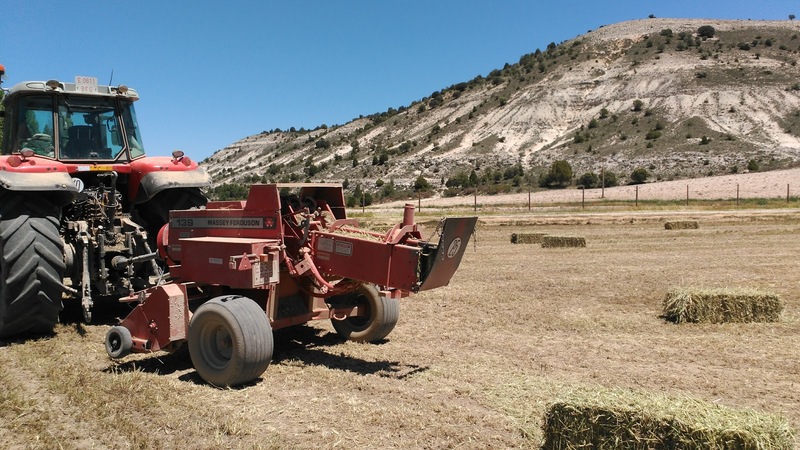 Normally, they can do 4 harvesting per session of alfalfa and this year they will only have 2 harvesting session. 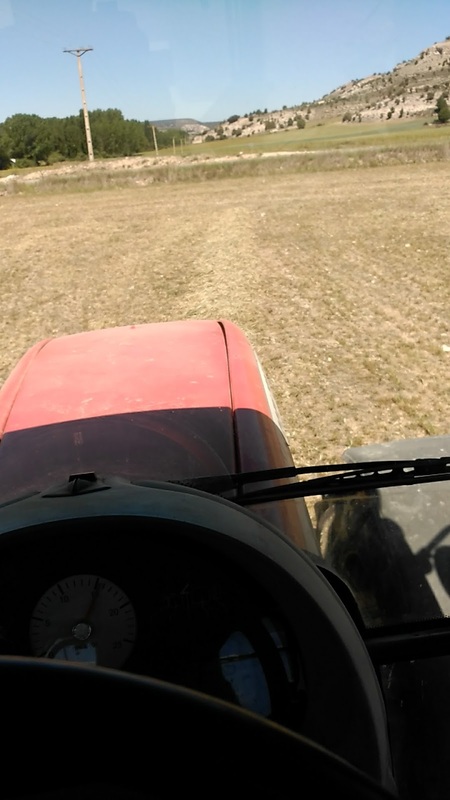 Some grain vetch will be to forage too... the harvest came early this year for about 15 days. 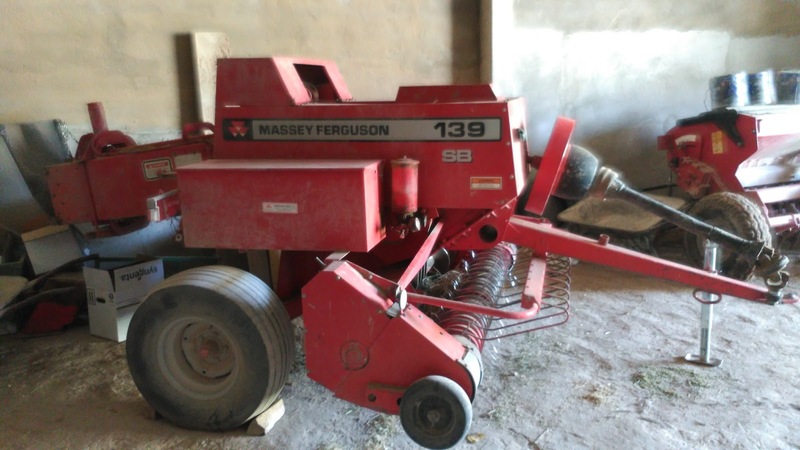 We are in a globalized world where a year with low production in Spain doesn't influence the price because in other countries can have good harvest, where the machinery tends to be bigger and bigger, we noticed that José Enrique has a small baler... the fantastic Massey Ferguson 139 SB. 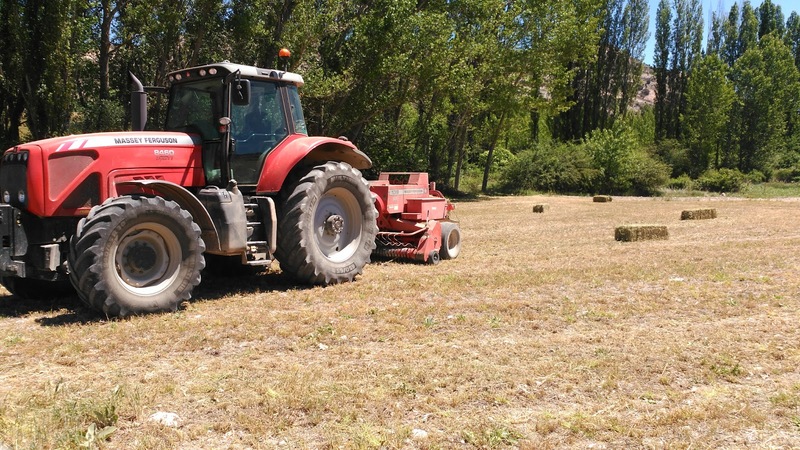 This type of baler isn't very common in Spain. José Enrique said it really works very fine. 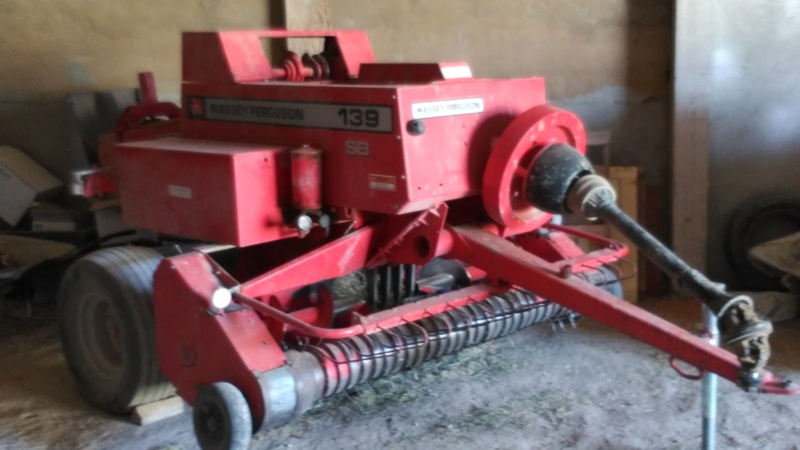 They have a small mill and they work with small bales (356x457mm) because it is more comfortable (they make about 13,000 bales per year). 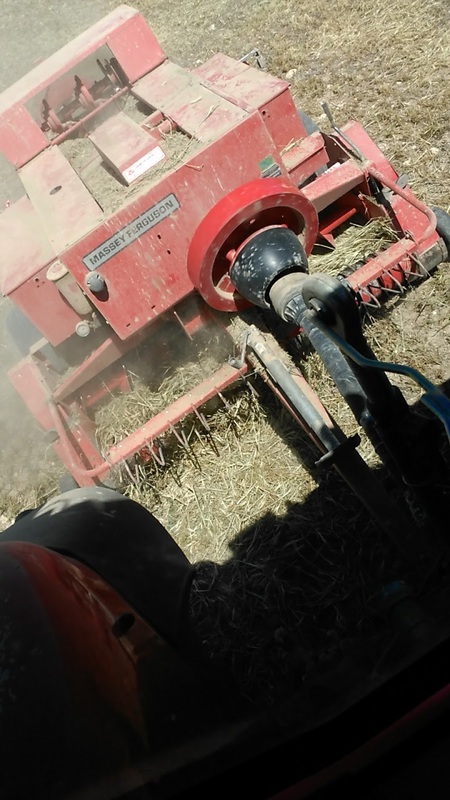 Besides, they have an automatic bale wagons so they can put bales in mill easily to prepare the feed (straw and grain) that they will use throughout the year. 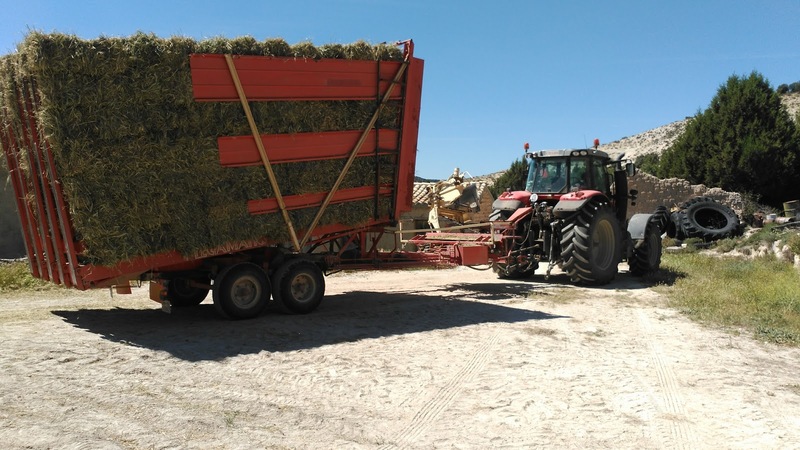 How much harvest do you have?